Apple Valley is a suburb of the Twin Cities located in northwestern Dakota County in the State of Minnesota. As of the 2010 census, the city's population was 49,084, making it the 18th most populous city in Minnesota. Money Magazine named Apple Valley the 17th best place to live in the United States and it has been in the top 30 many times in many years for numerous publications. Apple Valley features The Minnesota Zoo https://mnzoo.org/ , highly rated schools, over 600 businesses, and a convenient location to both downtowns of Minneapolis and Saint Paul, only a short drive to the Minneapolis-Saint Paul International Airport and Mall of America https://www.mallofamerica.com/ . 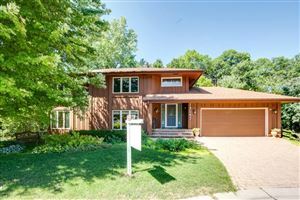 Apple Valley is located in Minnesota which is known for best state for women https://www.mnrealestate.com/minnesota-voted-1-state-for-women/, second best state for raising a family, second healthiest state and over-all second best state to live in the Nation. 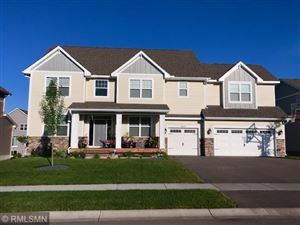 This database includes all homes currently for sale Apple Valley, Minnesota. Some helpful tips to navigate the search is to start by clicking on the "PROFILE" option in the top right of the page and entering your email and creating a password. Then proceed to enter in your search criteria for area, price range, and any other important categories. Then click on "SEARCH". If you like that search and want to get daily updates, click on "SEARCHES" on the top of the page next to “PROFILE” and make sure the box is checked to have daily searches sent to your email. If you see a home you really like, and you have clicked on the image to view all the details, you will see a "SAVE TO FAVORITES" button on the top left you can click to save it for future review. Any time you come back to www.findahomemn.com and you click on "LISTINGS" at the top right you can view the history of all your saved homes. If you see an individual home you like, you will notice on the right-hand side that you can enter your name and number and we’ll be contacted immediately to set a showing to see the home. It’s essential in this fast-paced market to quickly view homes while they are still available. Additionally, there is a mortgage calculator to get a good idea of your mortgage payment and to get pre-approved for a mortgage. We always suggest getting pre-approved right away so that when you come upon that home you love you’re prepared to act quickly. If you would like us to do a custom home search since we are so familiar with drive times, neighborhoods, pricing, schools and area amenities you can call us at 612-386-8600 or email us at jeff@mnrealestate.com. We’ll create a custom home search so that you’ll receive daily updates and have up-to-the-minute accuracy. We are available seven days a week to answer your questions and show you homes. We are experts on the Twin Cities real estate market. A realtor who has helpful insights is an "information broker," providing you with all the information you need to make an educated decision, acting as a real asset to you! We are here to serve you and use our decades worth of real estate experience to give you the advantage in this competitive Minnesota real estate market.